Thanks for the note, Richard. Barry had many people who supported his work, and it's very nice to hear from those of you who will remember him. As I progress through this chronological revisiting of my relationship with Barry aka A Produce, I come to a gap of almost ten years. During that time (approximately 2001-2011) we maintained some contact, but Barry was much less active making music. He experienced some personal setbacks, including the loss of at least two "day jobs," and a couple of long stretches of unemployment. This, combined with a general downturn in the market for recorded music, meant that as Trance Port albums went out of print (the EP of A Smooth Surface and the album Land of a Thousand Trances), even an artist of the stature of A Produce could not justify manufacturing new batches of CDs. At this time, Barry chose to put his Trance Port label on hold, and create a new offshoot Trance Port Special Editions, to create CDR reissues of his out-of-print albums, as well as to release a few new recordings. He put out a special expanded edition of A Smooth Surface, a collection of early recordings from the A Produce & Ruben Garcia partnership, and a double CDR edition of Land of a Thousand Trances. These sold moderately well, because of the respect listeners held for the work of A Produce, but not so well as to convince Barry to make the jump to restarting the Trance Port label proper. When White Sands (a sampler or assortment of A Produce tracks, both album takes and obscurities) went out of print, though, Barry decided to create a release more in keeping with the earlier Trance Port tradition of fine packaging. 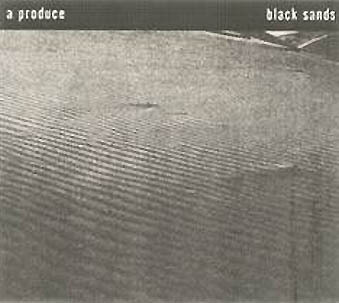 He released a 3-CD album, Black Sands, which had the feel of his early letterpress folder editions. It was a bit more expensive than the CDR editions but devoted A Produce listeners seemed to like it. I believe Black Sands came out in 2005 or maybe 2006. Overall, sales of A Produce CDs had begun to drop off. Newer ambient music fans hadn't seen an album of new A Produce material come out, and earlier fans already owned all his work. Only the most devoted fans wanted to re-purchase a CDR deluxe edition of an album they already owned on CD, despite the inclusion of a few extra tracks. At the same time, a lot of respect still existed for the music of A Produce, especially among more serious, long-term fans and practitioners of the music, DJs and music reviewers. I told Barry he needed to keep putting out new music every few years at least, and not just perpetually repackage earlier releases, in order to keep stimulating interest in his work. He often hinted at an interest in getting back into the studio, or mentioned having sold a few pieces of studio gear to finance the purchase of some new synthesizer, but several years passed in which I don't believe he was creating new music at all. His next release after Black Sands went in the opposite direction. The Clearing was a reissue of the very earliest A Produce material from the late 80s. The music hinted at where he would go with A Produce eventually, but wasn't going to earn him any new fans. Also the release came in a no-frills CDR package. Sad, sad news indeed. I remember his releases from the early days of Trance Port and loved the music and the packaging. I didn't know him, but emailed back and forth a time or two. A nice guy and a great talent. Take care, Barry. Wow, sad news indeed!!! Our community is so small, this is most definitely like losing a family member! I remember talking to him once on the phone years ago when I was just starting to do my own music. He sent me copies of his first few CDs and we spoke via e-mail as well, but it has been at least 10 year since I last came in contact with him. Very sad! Prayers go out to his family. I've always believed that no matter how the ambient music community in general might rate its artists, if you asked the long-term DJs, reviewers, music-makers, and the most seriously devoted listeners, A Produce would stand in the very top rank of five or six names. Because he was less prolific than names like Roach, Rich, Vidna Obmana and others, he had a lower profile with the general listening public than he deserved. But those who know ambient music, space music, or trance music, all have respect for the work of A Produce. Thanks for chiming in. Your experience with getting to know Barry, exchanging music with him and so on, sounds similar to what many of the rest of us experienced. Yes, very sad news and so sudden. I will miss Barry and his music, but we do have his music now to listen to in his memory. A few years ago I arranged for a dinner gathering in L.A. with Barry, along with Loren Nerell, Dean De Benedictis, and "surprise guest" Kelly David (a surprise to me that evening). Barry and his wife sat across from me during our dinner and while our visit was short, I got to know a kind soul - as was everyone there that evening. I have fond memories of that night and I am thankful to have spent some time chatting with Barry. Over the years Barry and I kept in semi-regular contact (mostly on FaceBook). He was very generous with sharing his music with me, and I have some music material meant for a collaboration piece that I hope to release in the future in his memory. R.I.P. Barry. You will be missed. WTF?!? Had to do a double-take when I first came across the subject heading of this post. Man, this past year or two has seen some truly sad & shocking & *very* untimely passings in the EM/experimental realm: Dani Long from Celer last year, Conrad Schnitzler recently, and now Barry. I am quite stunned & saddened to hear this news. I knew Barry sporadically during the publishing years of i/e, back in the early 90s. In fact, we had run an interview with him for the "fourth world" special issue which included Hassell, Roach, Rich, et al. I have loved & admired Barry's work from the beginning, and closely followed his career right up to the recent collab w/Loren, which was superb. Barry's skill & abilities as an artist were unquestionable, and the presentation of his Trance Port CDs then (and now) has held them in fine artistic stead all these years. He should have garnered a far larger audience than he did, one his reputation deserved, but, alas, such is the nature of many a musician in this small corner of the universe. Thanks for the reminiscence, Jesse and Darren. It seems so many of us have similar stories. After that decade-long gap I mentioned, in which I communicated with Barry intermittently, and tried to help him sell his self-released editions through the Hypnos store, he started making music again. I heard from Barry about a nascent collaboration with Loren Nerell. Over several months, I heard a sample track here and there, then indications that the collaboration was dead, then more tracks, then more indications that it might not happen after all. 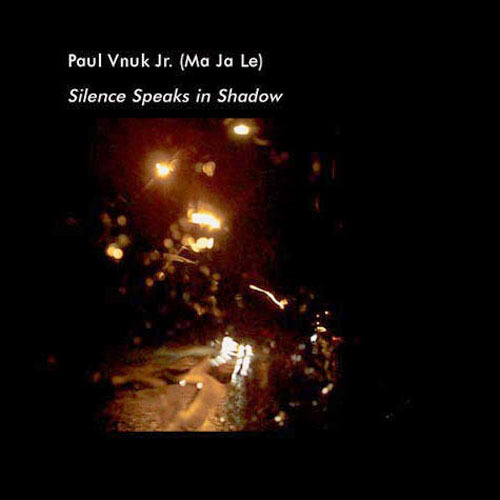 Eventually I received a sampler of four or five tracks of some of the best new ambient music I'd heard in quite a while. I don't know the practical details of the collaboration, but the pairing seemed to bring out the best in both A Produce and Loren Nerell. Their combined output had a brooding, melancholy undercurrent, but felt bright and celestial at the same time. The music sounded deep, and yet pleasant, easy to listen to. In the past I've received "teasers" for unfinished projects that never ended up sounding as good as the first hints, but everything these guys came up with was top notch. Apparently the project hit a number of bumps along the way, such as differing creative ideas, or difficulties finding time to work together, but these are common in any collaboration and certainly didn't detract from the quality of the material. Neither artist had released new material of their own in several years, yet somehow they had combined to create some of the freshest and most vital work we'd heard here at Hypnos in quite some time. We cleared the remaining hurdles inherent to any CD release -- artwork, liner notes, terms and conditions, and so on -- and Intangible was finally released. It's the most recent release on Hypnos as I write this, and though I don't like to play favorites among Hypnos releases I think it's fair to say that this is one of our better-received albums ever. 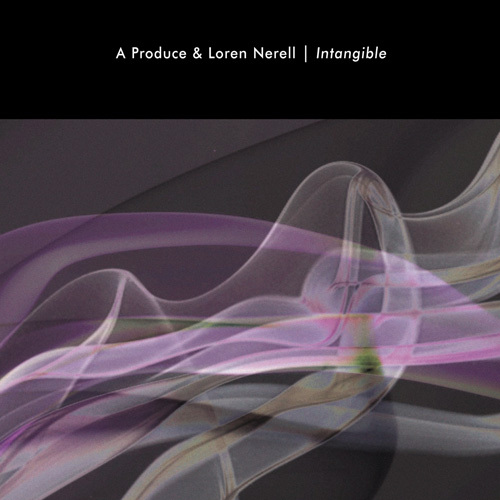 It has been a lot of fun to share radio playlists and reviews of the CD with Barry and Loren, and I know the response to Intangible was encouraging and energizing for both of them. There is no question that Barry had more great music in him, if only he had more time. I regret we'll never get to hear more of what he had to offer. This is very sad news. I never new or talked to Barry, but did enjoy his music. I agree with Mike that he will be remembered in the top ranks of ambient artists. His latest with Loren was very encouraging to me that he was back in full force again. I am enjoying reading the stories you all tell of him. He will be missed. Sad indeed. Thanks for adding your voice to those who enjoyed Barry's work. Revisiting all these memories has left me feeling a bit wrung out, so I'm going to take a break from thinking about this for a while. I invite people to post their feelings about A Produce music, and/or recollections about Barry personally. Several of us reading and posting in this space knew different aspects of Barry and A Produce, so if anybody has questions, feel free to post those and we'll try to answer. I've already written some responses on Facebook, but I must say this is terribly sad news for me. Barry and I got to know each other quite well over MANY long distance phone calls shortly after I started up Wind and Wire in 1997. Barry was extremely supportive (as were you, Mike, and Jeff, too). I remember Barry telling me "It's easy, Bill, for someone to publish one or two issues...but if you can make it to 6 or 8 or 10, THEN people will start taking you seriously." His passion for music was just as engaging and contagious. The first album of his I got was Land of a Thousand Trances and MANY times I have stated that it is as essential an album as exists in ambient music. I think it was Jeff who put I and Barry in contact at first. If so, thanks, Jeff. I interviewed Barry for issue 4 and, if Mike approves, I can find the interview and maybe post it here somehow. And yes, Mike, the photo was the cover image I used for that issue. As important and visionary as Barry was as an artist, he was also one of the nicest people in this business. That he helped me, who was a total unknown and a naive babe in the woods at the time, was a testament to his generous spirit. He had a great sense of humor and was a genuinely kind person. The world at large has lost a wonderful human being and the ambient community has lost one of it's pioneers and artistic geniuses (IMO, Barry was a real original). Safe passage to the next level, Barry. We will all miss you something fierce. Bill, thanks for the reminiscences. Anything you'd like to scan and post, or email for me to post, would be great. Smile on the Void was one of a few CDs that inspired me to begin recording. I am grateful that Barry was able to share his gift with the world. Bill- I think I did point Barry in your direction, long long ago. And Mike- you wrote Barry around the time you wrote to me- Barry and I talked shortly after, and he asked me "what's up with this Hypnos label?" and I said that it was run by a pretty level headed, ego-free guy who appeared to be in it for the long term. I remember Barry stating, dryly, "then he'll never last in the music business!" I talked with Barry not terribly long ago, he was pretty excited about the (then) unreleased cd with Loren, but spent a lot of time asking about my wife and kids, wondering how it was possible that I was now the parent of a teen-ager. I always appreciated how Barry was interested in, and willing to talk about, things other than music. LOL! That does indeed sound like Barry! He had such a wickedly dry sense of humor. And yeah, he and I bemoaned the lack of serious attention ambient music got and how screwed up some things were. I thought I had found a real soulmate when it came to ranting at times! LOL! Yeah, I remember, Jeff, that I got in touch with you prior to my W and W days...I think you and Tim (Story) were the first artists I ever showed my "fan boy" side to back then. At some point Barry emailed me as a "Jeff Pearce" referral, I think...or maybe you told me about this great artist A Produce. I don't recall if I bought Land of a Thousand Trances from Lloyd or from Stu at Dark Star in Milwaukee. I think it was Lloyd (and I bought The Hidden Rift at Stu's store on Milwaukee's East Side. Man, the past we all shared. I so wish we could all be together tonight to raise a glass to Barry, a la the ending scene in Waking Ned Devine....(sigh). Barry had moved away from music for quite a few years, and recently seemed to have found his inspiration and love for creating again. I'll always remember that 1996-2001 Barry who was full of energy and enthusiasm, and very generous about bringing people together around music, and supporting the work of others. Also -- Bill, Jeff and the rest of you -- I want to thank people for sharing thoughts and memories about Barry here. I didn't want to turn this into nothing but "Mike remembers Barry," but pretty much all I have to go on is my own recollections about getting to know him, receiving recommendations from him, working on music with him and so on. I welcome others to fill in other parts of Barry's history, and let us know about projects and work that I didn't touch on.